In the preface Nicolson says of the book " It is an attempt to describe the mental landscape of the people who fought and commanded at one of the great battles in history and it asks, in particular, why and how the idea of the hero flowered here.'' If that had been on the back cover I'd have never bought the book. I'm not particularly interested in cultural psychology, I thought it was a book about the Battle of Trafalgar. 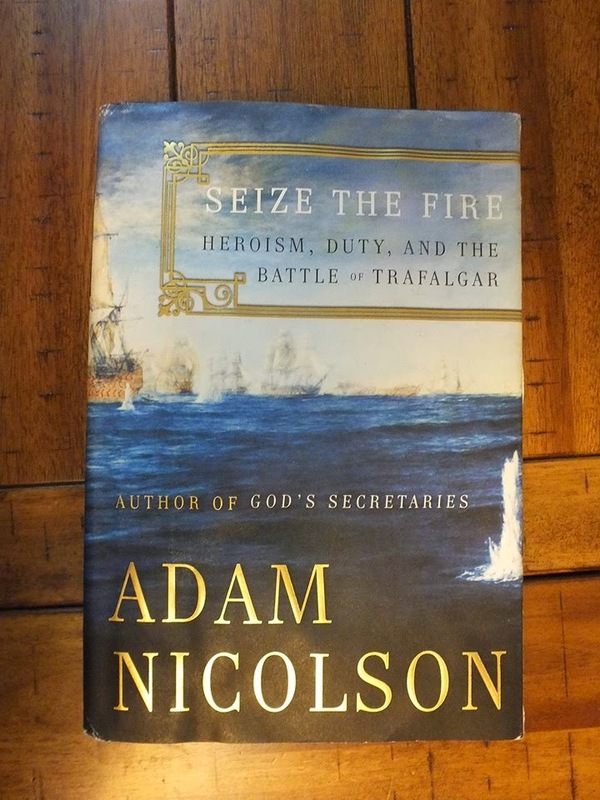 If you want a book about Trafalgar get " Nelson's Trafalgar" by Roy Atkins, it's excellent. 'Seize the Fire' uses the battle as a backdrop and conveyance for the social attitudes it examines. It's not light, easy readin. I did read the book and I learned some things. Nelson explains why the British Navy was the unstoppable juggernaut they were, and how the difference in psychology handicapped the French and Spanish navies before the first shot was fired. There is good information here about the difference in standard naval operation between the British and their opponents. He also explains a change in attitudes, and what was acceptable behavior, in gentlemen (read officers) between the 18th and early 19th centuries. Just at the point I would become bored with excursions into cultural psychology Nicholson would bring be back around with some interesting period account. I was pleasantly surprised. I'm not sure that this book has that much to offer an Acasta doing a straight up "Jack Tar" only impression. I would recommend this book to our gentlemen types to give them some insight into the proper attitudes of the time and place.